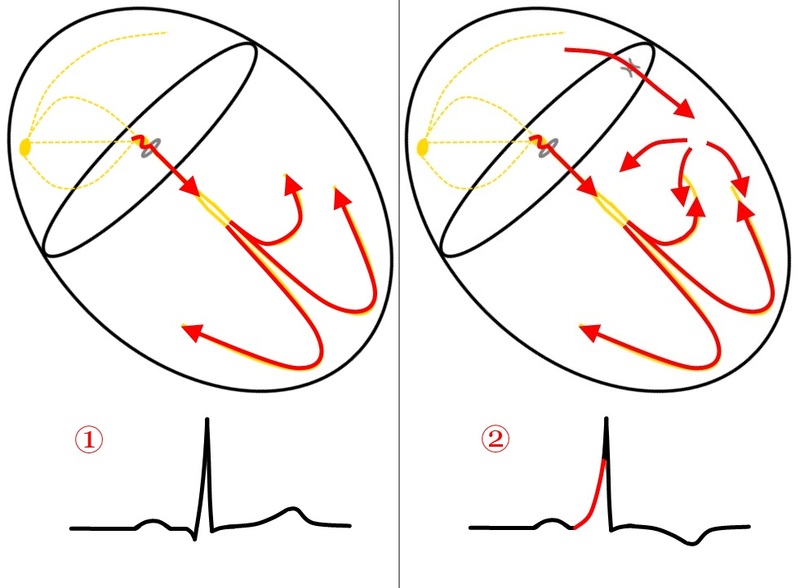 This is an elegantly simple illustration of normal conduction compared to accessory pathway conduction, as seen in Wolff-Parkinson-White conduction. The image was generously contributed by Christopher Watford, well-know ECG Guru. You can find a collection of illustrations by Christopher at this LINK. PDN files are also available at the link. These will allow you to change the image.